June 26-30, 2017 / Monday–Friday, 9 a.m.–4 p.m. The course will balance exposure to the genres and styles of traditional Western plainchant with the study and execution of Renaissance vocal polyphony. Sessions will center not just on performance but also on historical background, notation, and contemporary theory and practice. In a short concert at week’s end, students will present – as an SATB choir – an unpublished sixteenth-century polyphonic Vespers, which incorporates both chant and polyphony. This course is appropriate for church music directors, choral directors, and singers wishing to gain a stronger foundation in early music. 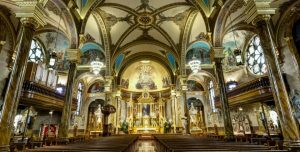 The institute takes place in Chicago at St. John Cantius Church, recently named the most beautiful church in the United States and well known for its rich tradition of sacred music. Register Now for CMAA Summer Chant Courses! The CMAA is proud to present four summer courses for the summer of 2017. All courses will be held concurrently at the Mary Pappert Music School at Duquesne University. The Chant Intensive lives up to its name: though no previous experience with chant is required, beginners and intermediate chanters should be prepared for full immersion from the start. You will learn or review how to read and fully navigate all aspects of traditional Gregorian notation (square notes), as well as an introduction to chironomy (directing chant) with a master teacher. 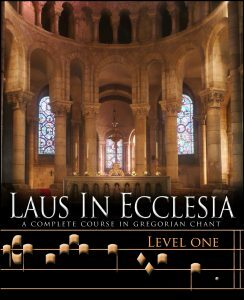 The course will also address correct Latin pronunciation, the sound and mystery of the eight Church modes, Psalm tones and their applications, questions concerning the rhythm of plainsong, and more. Compline will be sung to allow participants to experience the beauty of a portion of the sung Divine Office. 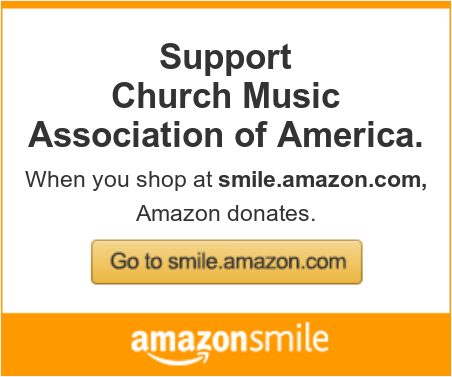 Gregorian repertoire will be used for Divine Office and Mass. 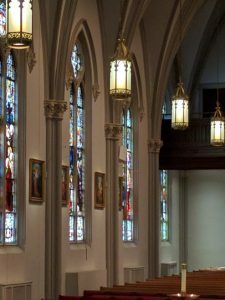 The CMAA Summer Chant Intensive is intended for beginning and continuing students and all who love and appreciate the central role that chant plays as the prayerful song of the Roman Rite–not only at cathedrals and basilicas but in any parish. The conference will inspire and prepare participants to continue the renaissance of sacred music in our time, in both the ordinary and extraordinary forms of the Mass. In the years since the first CMAA Chant Intensive course was taught in 2008, hundreds of students have benefited from this in-depth course in Gregorian chant. This summer’s course will be taught by instructor Dr. Jennifer Donelson in one section including men and women. For the second time, the CMAA is offering a beginning course in the Ward method developed by Justine Bayard Ward (1879 – 1975). This method was developed by Ward for the purpose of providing a basic integrated musical education for children in primary and intermediate grades of Catholic schools. The Ward Method has Gregorian Chant as its basis. Using her method, directors of children’s choirs may work toward the goal that all the children may sing — not just those with the most obvious natural talent. The CMAA has offered short breakout sessions about the Ward method at Colloquia, but until last summer’s first course, we have not had the time available to provide the needed training for participants to take the methodology home to use with students. This summer’s course will provide training to allow participants to teach groups of children using these tried and true methods, including the planning and conducting of regular Ward lessons to groups of children. Scott Turkington will again share his training and experience in sharing the Ward method with participants in this course in the hope of preparing new generations of Catholics to sing in choirs, scholas and in actively participating in the parish liturgies as parishioners in the pews. For the first time, building on the success of our first Ward course offering in 2016, the CMAA is offering an Intermediate course in the Ward method developed by Justine Bayard Ward (1879 – 1975). This method was developed by Ward for the purpose of providing a basic integrated musical education for children in primary and intermediate grades of Catholic schools. The Ward Method has Gregorian Chant as its basis. Using her method, directors of children’s choirs may work toward the goal that all the children may sing — not just those with the most obvious natural talent. The CMAA has offered short breakout sessions about the Ward method at Colloquia, but until last summer’s first course, we have not had the time available to provide the needed training for participants to take the methodology home to use with students. This summer’s course will provide training to allow participants to continue in their training to move beyond the first year of Ward instruction with advanced techniques and a continuation of the training needed to continue utilizing the Ward method beyond the first year. Wilko Brouwers will share his training and experience in sharing the Ward method with participants in this course in the hope of preparing new generations of Catholics to sing in choirs, scholas and in actively participating in the parish liturgies as parishioners in the pews. Level Two: More advanced, which could be described as what is necessary to sing in a schola and to sing the more elaborate chants (Graduale, Alleluia, Offertory). This summer’s course will cover Level One. A book will be provided which contains all the course material. The subject matter covers theory and practice. In the course of the week, the students will be taken through all 15 lessons of the manual Laus in Ecclesia, level One. Much of the material will be explained, alternated with exercises and examples. Ideally, the manual is meant to provide a whole course with homework assignments at the end of each lesson to be completed and submitted for correction, and an oral practical examination after finishing the course. As it is unlikely that the student will be able to complete all this during the week, these assignments can be completed during the year and an exam can be taken at the next scheduled course, or other arrangements can be made individually. The book Laus in Ecclesia is the revised edition of the St. Gregoire Schola’s manual. The previous five manuals which provided the teaching matter of the Schola are condensed into three levels with this revision. The first two levels have been published in France (the third is still in process). This course will include the use of the first level, which is newly published in English. This book provides color diagrams and illustrations to accompany the material. Also included is a CD which provides a model for solfeggio and rhythm exercises. These same tracks will also be available at the Laus in Ecclesia website (still in process, but planned for completion prior to the course in June). Br. Mark Bachmann, choirmaster for Clear Creek Monastery will teach this course, sharing his many years of experience with class participants.